Australia’s self-inflicted renewable energy calamity sent power prices through the roof, leaving hundreds of thousands unable to afford power. In this country blessed with abundant reserves of coal, gas and uranium. It’s Australia’s Great Shame. The causes are all political; driven by the delusional hard-green-left that people the Greens and that now dominates the Labor Party, aided and abetted by a handful of bed-wetters in the (notionally conservative) Liberal Party. Starry-eyed latte sippers in the inner city (who haven’t a clue about electricity generation or distribution) are fair game for RE zealots and the rent-seekers who employ them to with up a frenzy around imminent global incineration. Windmills and solar panels are the only ‘solution’ advanced to our pending climate doom. Never mind that no country, anywhere on Earth, has ever powered itself in any meaningful way with wind and solar; no country ever will. Australia is at the crossroads; its people have a choice. Either Australia invests in meaningful generation capacity (which means coal or gas, given that nuclear power is banned by Federal legislation) or it kisses goodbye to tens of thousands well-paid jobs in mining, manufacturing and mineral processing. On the current course, energy hungry industries will simply disappear, and the regions where they operate will all end up like Australia’s wind and solar capital, South Australia – an economic basket case. STT doesn’t back coal-fired power because were in love with coal. We promote it because it works. And when we say ‘works’ we mean delivering power 24 x 365, whatever the weather, and at a cost that all comers can afford. The reality is that, without coal-fired power, Australians would simply be living in the dark ages. So, it’s not surprising that investors are lining up to build new coal-fired generating capacity, notwithstanding what a few hysterical kids wagging school might be worked up and wailing about. An obscure Hong Kong-listed company claims to have sealed early plans to develop a low-emissions coal-fired power station in the Hunter Valley – although NSW Planning is yet to receive a formal approach. 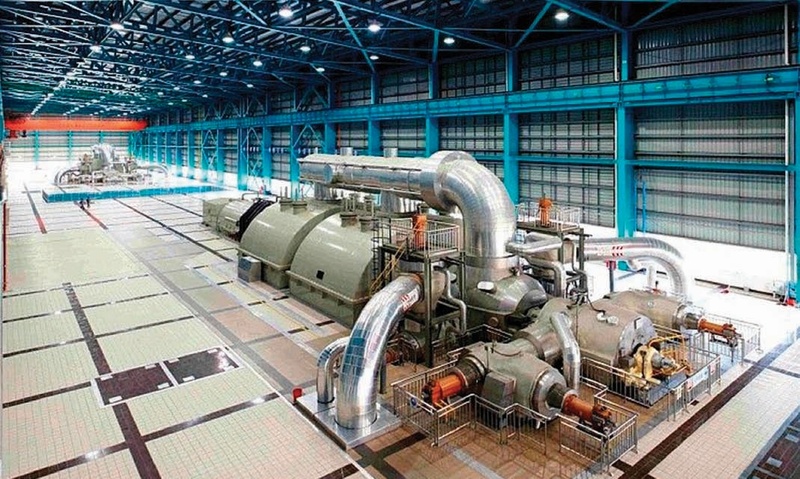 Kaisun Holdings, which has a market value of about HK$181 million ($33 million) told the Hong Kong stock exchange on February 28 it had entered a memorandum of understanding for the joint development of an “ultra super critical” coal-fired power plant with 2000 megawatt-capacity in the Hunter Economic Zone (HEZ). At that size, it would more than replace AGL’s ailing Liddell power plant, with its 1680MW-capacity, that is due to close in 2022. Kaisun, which provide coal services and is incorporated in the Cayman Islands, said it had entered into a “strategic cooperation framework” with China Energy Engineering Group – one of the country’s biggest power plant developers. The two would work with Cavcorp, a Parramatta-registered company with $25,002 in paid up shares that is the “initiator for the project”, and which has plans to the develop the HEZ site near Kurri Kurri. The Newcastle Herald understands Cessnock City Council’s mayor and general manager have been briefed on the plan involving the Asia-based firms, which will require state government approval. 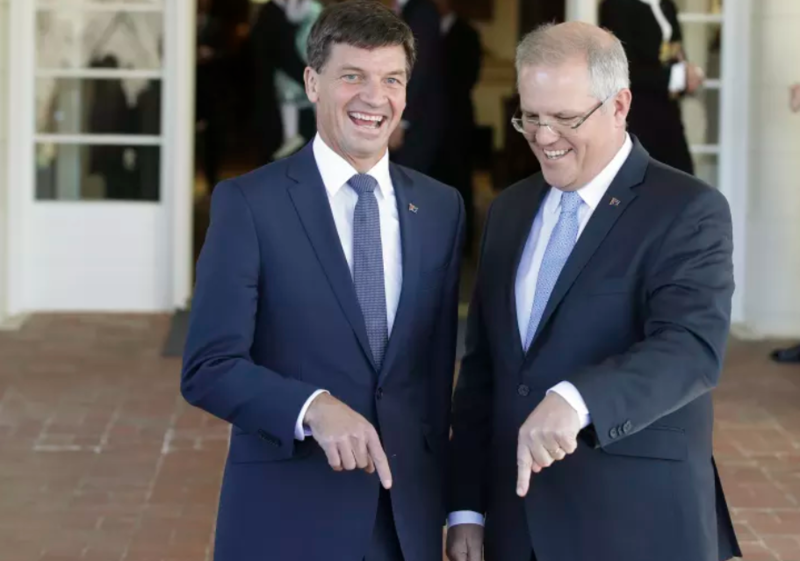 As spokesman for Angus Taylor, federal Energy Minister, said the Morrison government was aware of the reports but said it was “not involved in this MOU”. “As there could be potential future approval processes, the government doesn’t propose commenting on this matter further,” he said, declining to say whether the project was among submissions it had received for its Underwriting New Generation Investments Program that commentators expect will included coal-fired plants. A special purpose project company will be established solely for this HEZ project, responsible for the development and operation,” the Kaisun announcement states. Cessnock mayor Bob Pynsent said Cavcorp owns the HEZ site. Its director Francesco Cavasinni had briefed the council a few weeks ago on the “left-field” plan, he said. According to ASIC records, Mr Cavasinni is the only shareholder of Cavcorp Australia and is both director and secretary of the company. Cr Pynsent said the state government would be the consent authority and applications had been lodged. The 850-hectare HEZ had been planned as a shot in the arm to Kurri Kurri, but instead council plans to approve a development at the site were overruled in the Land and Environment Court in 2016. “The background is that the HEZ has a history of environmental issues and they would have to be sorted before it could go ahead,” Cr Pynsent said. Julien Vincent, executive director of Market Forces, said the Morrison government “would be absolutely delighted to see the possibility of new coal-fired power plants that it could throw money at”. coal-fired power they should be pointing to. In general, Liberals, from the PM down, have been a pitiful disappointment, when it comes to sensible energy policy. There seems to be no stomach for a fight over affordable and reliable power – far too many of them sound like lunatics from the left, preaching about wind and solar being a necessary part of the ‘energy mix’ and waffling about our ‘inevitable transition’ to an all wind and sun powered future. One Liberal who could never be accused of any of the above, is Craig Kelly. Here’s Craig delivering his very own brand of common sense, once again. Chris Smith: Craig Kelly is calling on the prime minister to commit taxpayers’ dollars to building a coal-fired power plant. He joins me on the line right now. Craig Kelly, thank you for your time. Craig Kelly: Good afternoon Chris. Just if I could quickly just jump in there to start with. I haven’t called for taxpayers’ dollars. This is one of the ways that the anti-coal media like to twist your words, what you say. We’ve got hundreds of coal-fired power stations being built around the world today, lifting people out of poverty. In Australia, we’re doing the opposite, we’re closing them down, and we’re pushing people into poverty. We saw in Victoria last year, Hazelwood closed down. They had 1,000 households a week pushed into poverty, their electricity cut off. Now, the reason we’re seeing hundreds of coal-fired power stations being built around the world and not in Australia is because of the threat and the risk of a Labor/Greens government. Now, underwriting and taking away that risk is not subsidising, it’s not like the way we subsidise the wind turbines and the solar panels with billions of dollars that get subsidy paid for by a hidden green tax on your electricity bill. We’re talking about something completely and utterly different. Chris Smith: What do you know of the two projects that have been mentioned today via this Hong Kong, Cayman Islands-based company? Craig Kelly: Only what I’ve read in the media reports that we’re talking 2,000 megawatts. Remember, Chris, also, we’ve got Liddell power station here in New South Wales which is also 2,000 megawatts that is due to close down in 2022. Now, we’ve seen what happened in Victoria. When they closed down their Hazelwood power station and didn’t replace it with anything, the wholesale price of electricity in Victoria has doubled and tripled. Now, we don’t want to see the same thing happening here in New South Wales. Chris Smith: Not to mention the blackouts. Craig Kelly: Of course, then they had the blackouts as well. Again, cost hundreds of millions of dollars. Then you’ve got the job losses where industry is not committing to invest in industries that need electricity to run their business at a competitive price. You end up causing untold damage to your economy. Craig Kelly: Exactly what you talk about. Chris Smith: It’s an easy sell. Craig Kelly: Now, Liddell eventually is going to have to be replaced, whether how many years it can go beyond 2022, that’s an argument. Eventually that 2,000 megawatts that is coming out of the system has to be replaced. Now, you can build all the wind turbines you like, but when the wind doesn’t blow you’ve got no electricity. Chris Smith: Our battery technology is nowhere near up to scratch. Craig Kelly: Let’s just take the battery technology. The world’s largest battery in South Australia would do 0.1% of what we need in our grid for an hour. Chris Smith: It’s a joke. Craig Kelly: 1/1000 of the demand we need. You’d need 1,000 of the world’s largest battery to get you through. It’s just ridiculous. Craig Kelly: It’s absurd that you could even contemplate batteries, and yet that is what the renewables guys are trying to sell. Chris, the other thing, this coal-fired power plant they are talking about, this is high efficiency, low emissions. 98% of all the particulate matters, all the sulphur, all the pollution that we should be rightly concerned about is captured in that new technology. This is why Liddell is a dirtier coal-fired power plant. It’s an older one. Craig Kelly: If we could get Liddell replaced with this, this would be fantastic for New South Wales. Chris Smith: I get the feeling that these six Queensland national MPs are not on the prime minister’s birthday card list. Craig Kelly: Firstly, you’re talking about some really good people, guys like George Christensen, Lou O’Brien, Ken O’Dowd, Michelle Landry, all very good friends of mine, and these are fantastic representatives for their areas in Northern Queensland. Northern Queensland is one of the areas in the country that actually produces a lot for the country. You’ve got a lot of manufacturing, agriculture that relies upon low-cost energy. At the moment in Queensland they are being gouged on electricity by the Queensland government, because you’ve got a monopoly. Chris Smith: And to the fact that Jackie Trad has also said to those in the mining industries to start reskilling, so she’s pulled the curtain down on that sector before probably you can keep the lights on. Craig Kelly: Look, just Queensland up here, you see the government in Queensland, the Labor government is influenced by the Greens. They are doing things that harm the economy. Queensland economy relies on the royalties from coal. That’s what pays for their schools and their hospitals and their police force. To think that you’ve got someone in there running the state that wants to close that down and prohibit, cut off where the revenue flows are, it’s just insane. Chris Smith: These six Queensland national MPs want Scott Morrison to have skin in the game in a project involving a heli plant in Queensland. Do you support that? Chris Smith: Because he was very, very noncommittal in that little grab I played. Craig Kelly: Well, at the moment the energy minister, Angus Taylor, has called for expressions of interest to get more base load power in the system, because that’s what we need. We’ve got millions and millions, sorry, billions of dollars currently of investment in wind and solar, and that’s fine. But the problem is we haven’t got that same investment in base load power, and that’s what we need, because people are concerned over the risk of Labor/Greens government down the track. Craig Kelly: 60 separate proposals. Now, I’ve spoken to him in private, and actually he said some of them are excellent proposals. They’re working through them with a fine-tooth comb, trying to sort out what the best of those ones are to try and get those up and running and going ahead. Chris Smith: The Institute for Energy, Economics, and Financial Analysis estimated a 2,000 megawatt power plant would cost between four and five billion. It would require government capital subsidies of about two billion. Craig Kelly: Well, that’s what they say. Chris Smith: Are you prepared to put skin in the game? Craig Kelly: Chris, that proposal hasn’t come to the table yet. As I said, there’s hundreds of coal-fired power stations being built around the world that don’t need government subsidies. All we have to do is try and give them some guarantee that they won’t be run out of town by a Labor/Greens government down the track. That is what is holding up the investment in vital infrastructure for our nation. Chris Smith: Craig Kelly, thank you very much for your extended time. Chris Smith: Good on you. Craig Kelly, he makes a lot of sense. It’s an easy sell. 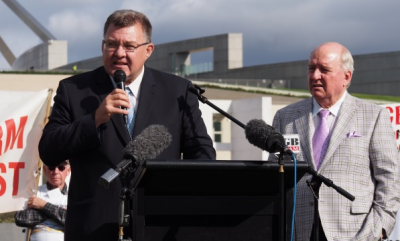 Craig Kelly: among Liberals, a lonely voice of reason. No doubt many STT readers will have read the article in The Australian newspaper today from the ‘The Times’ relating to the perilous state of citizens in Venezuela thanks to the socialist obsession of ignoring the need of baseload power stations to deliver reliable electricity – the fact is that people die horrible deaths when baseload reliable electric power is not available from lack of water, lack of food supplies, lack of transport facilities etc.etc. Given the illogical and absurd belief by our politicians and our ignorant and misinformed citizenry that wind and solar power can deliver what is needed to support their comfortable, and often extravagant, lifestyles then they will sooner rather than later suffer the same fate as Venezuelan citizens – it is now a situation of either wake up or perish, or put more simply, give up on intermittent unreliable wind and solar power and support and insist on coal, gas or nuclear powered generation and supply or perish.